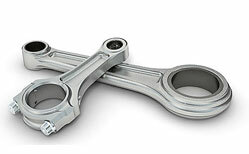 Pure Performance Motorsport has built a reputation as one of the leading manufacturers of connecting rods for high performance engines. Our rods are a precision, high strength, quality piece. We have a growing number of satisfied clients who have engines putting down serious numbers! We have a range of rods ready made to suit popular European, Japanese, US & other manufacturers. We also can have rods custom made to suit your application. Our engineers are available to discuss your requirements if you are unsure of exactly what you need. Pure Performance Motorsport out-powers the competition with our 4340 chrome molly connecting rods. One of our most popular products, these rods are in mega-powered engines all over the world. These were developed in-house by PPM engineers to fulfill the requirements of our clients. Sick of our competitors rods failing at semi-high power levels, PPM rods take it to the next level and beyond! Just like all other PPM racing products, the manufacturing process of these rods has been refined to ensure these rods can handle extreme power levels. Specific quality control measures (to ISO 9001:2000) such as magna flux crack detention and visual inspection ensures that each and every rod is defect free, ready to endure punishment! Similar to the chrome molly 4340 Billet, our Titanium rods are crafted from 6AL4V Titanium Bar Stock. The Titanium rods differ from our 4340 billet in that they weigh considerably less for reduced rotating and reciprocating weight (which means more revs, more freely!). On average, the Titanium rods weigh 33% less than the 4340 counterpart. In a 6-cylinder engine, that is equal to removing the weight of 2 steel rods from the complete rotating assembly. Typically, the big end of a 4340 rod weighs more than an entire titanium rod. The PPMRACE 6AL4V Titanium Connecting Rod is available for most applications on a custom order basis. Traditionally, fretting between the bearing shells and big end housing is an issue with Titanium rods, however PPMRACE have developed a unique manufacturing process to address this issue. In addition a CrN PVD coating is applied to prevent thrust face (Big End) wear. Due to the steps involved in manufacturing as well as customer demand, these rods are processed start to finish in 8-12 weeks, if we don’t have them in stock. The tremendous weight savings mean more power is passed through to the flywheel instead of expending it by thrashing heavy rods up and down. 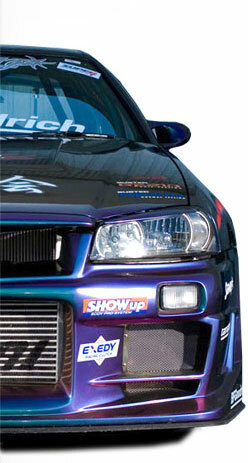 On a 300 HP engine, this can make a difference of 30 to 40 HP at high RPM --- plus they are stronger and more reliable! In addition to the inherent strength of forged Titanium, these rods are also plated to totally remove any possible stress risers. We are often asked why Titanium parts are so expensive. The answer is that the raw material is slightly more expensive than silver and the machine work process is very slow, using up a lot of very expensive carbide tooling while it is done. The bad news is that the price is going to go higher. In addition to the military using up thousands of tons for their aircraft, the new civilian super jets use extraordinary amounts of Titanium. Boeing’s order of Titanium for it’s new 787 aircraft exceeded the entire 2005 world’s production of the metal. The old law of supply and demand will have it’s effect.